Anyone who wants to help kids reap the emotional, physical cognitive, and spiritual benefits that the compelling research on mindfulness is demonstrating. These skills are fun and based on evidence based research that proves their effectiveness. They are designed to teach kids how to be more mindful in their life and to increase self-awareness and self-regulation. They start with the age old mindfulness technique of awareness of breath and conclude with a core mindfulness practice. Mindful movement, mindful listening and being mindful during tasks are also included. These skills help kids to stop the busy chatter of the ‘monkey brain’, slow down, tune in and be more present in their life. 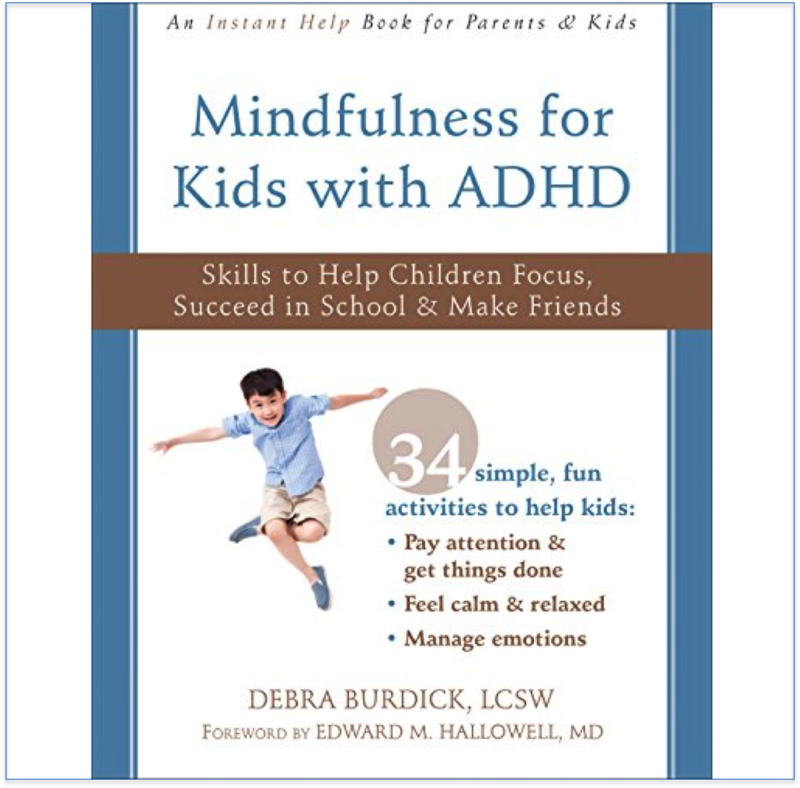 Note: The eleven mindfulness skills on this CD/mp3 are a subset of the 154 skills included in my best-selling book Mindfulness Skills for Kids and Teens. 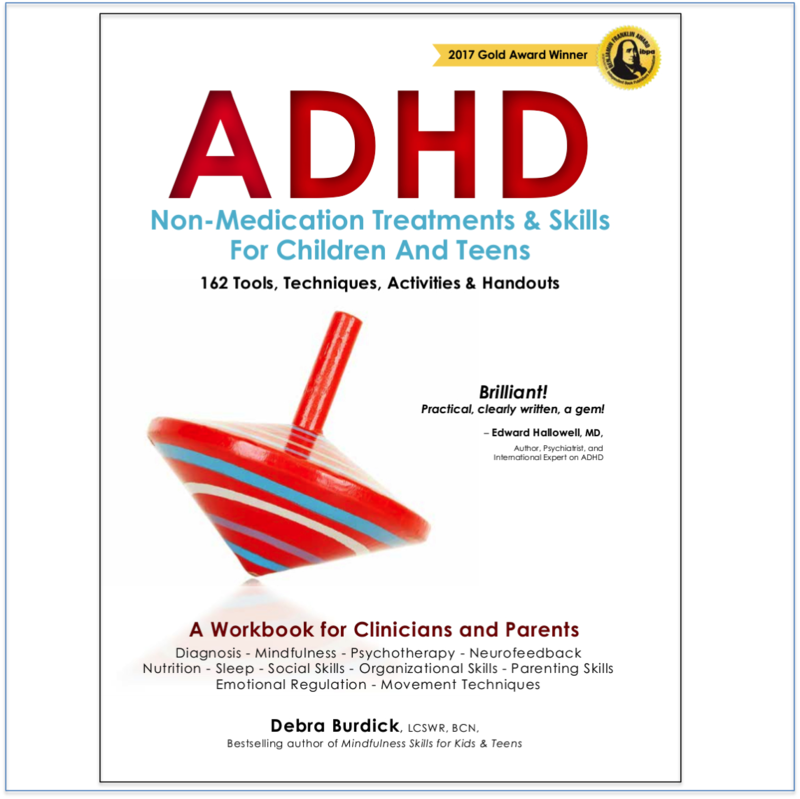 A Workbook for Clinicians and Clients with 154 Tools, Techniques, Activities and Worksheets. Help your child, client or student get started now! P.S. 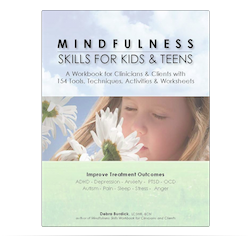 Mindfulness Toolkit for Kids: Practical Mindfulness Skills is being used by kids, parents, health care professionals, teachers, and therapists. Isn’t it your turn?